On the beach in Pensacola, Florida, this condominium property is 3.7 miles from Big Lagoon State Recreation Area. It features an outdoor pool and each unit provides full kitchens. Each unit at Windemere Condominiums By ResortQuest offers a Gulf front view from the private balconies. 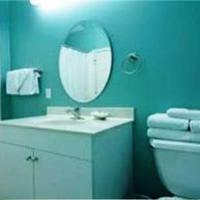 Cable TV and a CD/DVD player are provided in every condo along with a washer and dryer. The units are individually decorated. ResortQuest Windemere Condominiums features a hot tub and deck with beach umbrellas available. Guests can rent movies from the video library and free Wi-Fi is available in the lobby. The Lost Key Golf Course is 1.8 miles from the property. Windemere Condominiums is nearby charter fishing and cruises while the Pensacola Naval Complex is 10.5 miles away. These Perdido Key condominiums are located in a high-rise on the shore of the Gulf of Mexico. Each condo has a balcony with a view of the ocean. Palacio Condominiums By ResortQuest are decorated with bright, bold colors and include a TV and a DVD player. They also have a fully-equipped kitchen with a microwave and a refrigerator. There is an outdoor, beachside pool and jacuzzi at Palacio Condominiums By ResortQuest. A modern fitness center overlooks the pool and the ocean. Lighted tennis courts are also on site. Lost Key Golf Course is less than 3 miles from Palacio Condominiums By ResortQuest. Perdido Key State Park is 2 miles away. Located on Perdido Key, this resort is a 10-minute walk from Johnson Beach National Seashore. It features both an indoor pool and a 5,000-square foot outdoor pool with a waterfall cave. Guests at the Purple Parrot Resort can relax in the sauna and the hot tub or work out in the fitness center. Massages and concierge services are also available. The seasonal Purple Parrot Tiki Bar and Grill serves poolside food and drinks. A full kitchen, a dining area, and a living room are part of all the condos at Purple Parrot. Each is individually decorated and equipped with cable TV and a CD/DVD player. Perdido Key State Park is 2.8 miles from the resort. Lost Key Golf Course is a 5-minute drive away. 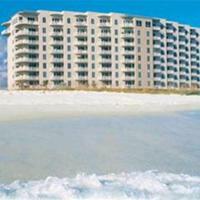 The Spanish Key Condominiums by ResortQuest are located on the beaches of Perdido Key. Each unit features a fully-equipped kitchen and a private balcony with views of the water. A washing machine and clothes dryer are both featured in every apartment. These Perdido Key rentals also offer free wired internet and a TV with a DVD player. An indoor pool and an outdoor pool are on site at the Spanish Key Condominiums. Guests will also enjoy access to a fitness centre and a hot tub on the property. These condominiums are less than 10 minutes’ drive from the Adventure Island theme park and 12 miles from the Alabama Gulf Coast Zoo. Pensacola city centre is 40 minutes’ drive away. 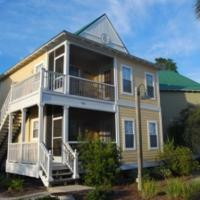 The Villagio holiday villas are situated across from the shores of Pensacola Beach. Each unit features a full kitchen for added convenience and a restaurant and bar is on the property. A private balcony is featured in each of these Pensacola holiday rentals. Free wired internet is also included and a washing machine and tumble dryer are provided in the units for added convenience. An on-site nightclub is featured at the Pensacola Villagio as well as a sports bar and deli. Massage services can also be arranged for guests during their stay. These villas are 2.5 miles from the Lost Key Golf Course. Pensacola city center is a 30 minute drive away.